In this digital age, everyone stores precious and important data on their computers- but most don’t think of what would happen if their computers were to crash. It is critical to keep frequent backups of your data, whether it be stored on an external hard drive, flash drive, or even a NAS. At Dr PC Fix, we can help tailor the perfect backup solution for you and your family. 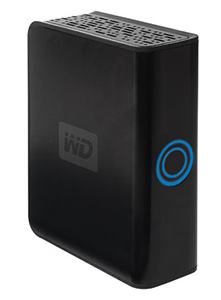 We offer setups for external drive backups as well as advanced Network Attached Storage devices such as Synology. However, all of those backups are prone to hardware failure as well and shouldn’t be your only backup location. Dr PC Fix is also a proud partner with Carbonite – the world’s leading cloud-based backup company. They offer the most reliable and affordable cloud backups in the industry, and if you purchase a plan through our partner link, our Dr PC Fix technicians can personally manage and check in on your backups. It is truly a worry-free solution! Don’t wait any longer! Call Dr PC Fix at 425-214-5241 or come stop by our shop to learn more about which data backup option will work best for you.